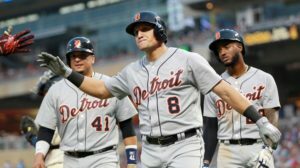 Last year, Albert Pujols bottomed out and was the worst player in baseball and it got us thinking – what was the worst starting lineup in baseball that year? Here is the worst of the worst at each position this year, ranked by WAR. The three worst pitchers in baseball all played for the Royals this season. 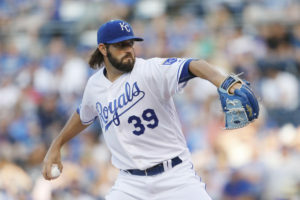 Hammel has been a thorn in the Royals side since joining Kansas City in 2017 and the team finally pulled the plug on him as a starter this year. 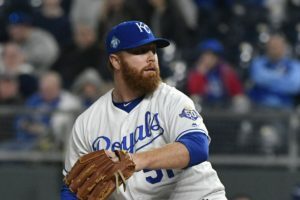 His 6.16 in eighteen games as a starter is atrocious, and his 4.73 ERA as a reliever isn’t necessarily good either, but he has been striking out batters at a better clip. His 12.05 ERA should be enough to explain why he is on the bottom of the list, but it’s worth going into the numbers. He has pitched 21.2 innings, allowed seven home runs, 29 earned runs and has stuck out just nine batters compared to 13 walks. The 37-year-old shockingly has a winning record (2-1) and a save to his name this year, but after being released last week, he may be on the road to retirement (again). 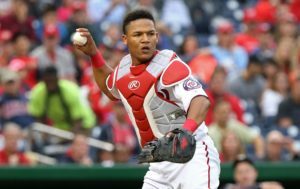 Severino was the backup catcher for the Nationals who was thrusting into the starting role while Matt Wieters went on the disabled list. He offers absolutely nothing on offense, hitting .170 this season with two home runs and 15 RBI. His slugging percentage (.254) was actually lower than his on-base percentage (.256). 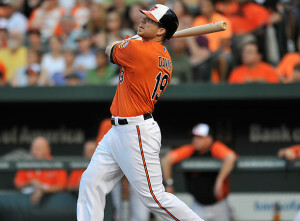 He was options back to Triple A when Wieters returned. Baltimore is one of the worst teams in baseball and Chris Davis is a big reason why. 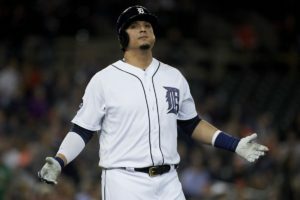 He’s never been one to hit for a high average, but usually made up for it with power, but he has done neither this season, hitting for a putrid .166 average and just 15 home runs. His -2.0 WAR is the worst in baseball. Often used as a utility man, Valbuena is batting under .200 for the second consecutive season, but unlike last year when he slugged 22 home runs, he doesn’t have the power numbers to support his low average. The 32-year-old has 18 extra base hits in 266 at bats and has struck out 100 times. His seven errors in the hot corner surely don’t help either. Escobar has always been known for his defense. 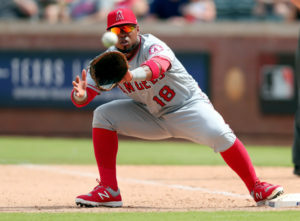 He won a Gold Glove in 2015 and even had an interesting defensive battle with Angels shortstop Andrelton Simmons in 2016. 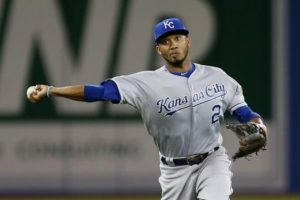 But Escobar has struggled defensively this year, accounting for eight errors and a -11 defensive runs saved, one of the worst marks among shortstops. Offensively, his slash line of .208/.260/.288 are all career lows. This shouldn’t be surprising as Mahtook offers nothing offensively. He is batting .184/.257/.280 this season and though he has a small sample size (37 games played) he still qualifies among WAR leaders. Jackson has significantly improved since coming to Queens, but he was abysmal for the Giants, hitting .242/.309/.295 with no home runs and only eight extra base hits in 149 at bats before San Francisco traded him to Texas, who released him before he could make an appearance in July. 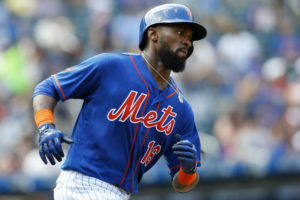 He would sign with the Mets two weeks later, where he has hit .377 /.422/.558 in 22 games. 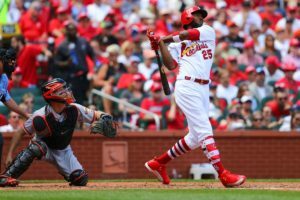 Fowler has had a rough season between his low batting average, loss of playing time and Cardinals President John Mozeliak publicly stating that Fowler isn’t putting the effort in. In 90 games, he has just 18 extra base hits and is batting .180. He has been on the disabled list since early August and will not return until September. Once one of the best hitting catchers in baseball, father time has caught up to the 39-year-old Martinez. For the first time in his career, his on-base percentage is under .300 and his power numbers keep dwindling. He has six home runs right now and there is a chance he doesn’t crack double-digits for the first time since an injury-shortened 2008 season. 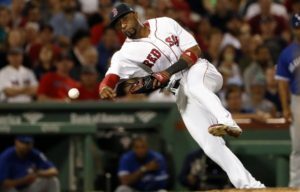 Where are the MLB Top 100 Prospects of 2012 Now?